My friend Tina has some beautiful kittens in Titchfield in Hampshire. She has used Sam and is rearing wonderful babies who are enjoying playing with her young daughter. 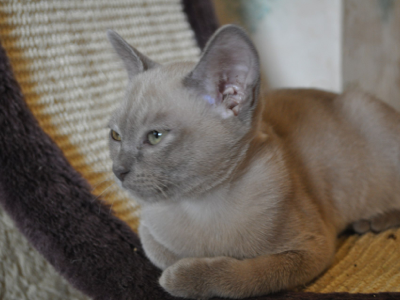 Tina has three male kittens available, a blue, brown and a lilac they are 7 weeks old at present.